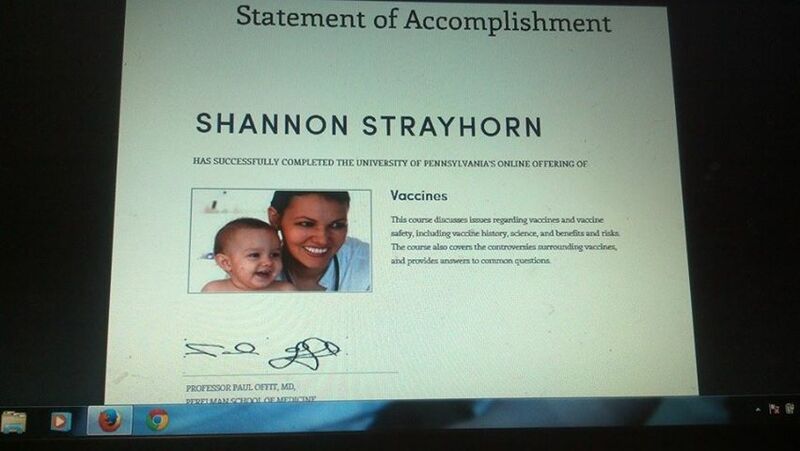 Recently I shared a picture of my Statement of Accomplishment from Paul Offit’s vaccine course. To catch everyone up, I have been taking courses in a number of different subjects with the intention of learning every possible aspect of autism. However, this one was different. I didn’t sign up to learn something about vaccines, as I have been studying that for years; I signed up to learn about the opposition. Last year I realized that our strategy all along has been pretty simple: to share the truth. After all, who could turn their backs on our beautiful children? If we just stood together in large numbers, the world would take notice and things would change. We would share our stories and reach out to everyone we could. And the more of us that were Thinking, the more of us that did it, the closer we would be to the truth and to change. And it works, because we do have adorable kids. People are talking, and things are changing. We have stood together, and people are THINKING. But this is not about getting a stop sign down on the corner of the street where kids walk: This is a war over the health and future of all children! And, if ever we were going to really flip this conversation upside down, we were going to have to view this as the battle it is. So how does this figure into Offit’s class? I was listening to some people from the opposition one day and hearing the same things repeated. It read like a playbook. The exact same keywords, phrases, deflection, and denials over and over. And I realized that this was their strategy. But they failed in one respect. They underestimated us. And in that moment I knew exactly what we needed to do. We need to think through, not just our next step, but their next step. We need to infiltrate the ranks, counter their plan of attack. 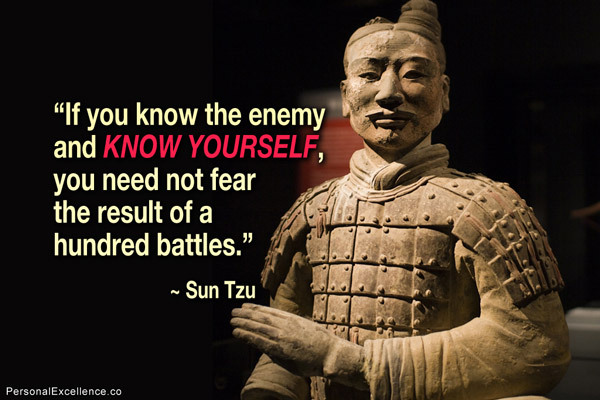 And, in order to do this, we need to KNOW who we were up against: not just who they work for or what they stand to lose should the truth come out, but what kind of people they are, how they think, the words they use, the tactics they use to sway opinion, the way they twist the data to fit their agenda. We need to understand exactly what it is that we face. And this class was one way to do this; we could see both the information being taught and the people involved. So I grabbed a few friends, and we jumped into the course. Now I imagined that the class would be predominantly vaccine supporters — sprinkled with some curious parents — but even I was shocked. The names read like a who’s who of bloggers known for attacking parents who dare speak out. It took me less than a week to see that this class was not about learning; it was a free for all. People were there to stalk and harass. The first couple weeks Offit presented a basic overview and history of vaccines. I even wrote that it was pretty accurate, and I had very little to say that was negative. It seemed on par with other classes. But then I did something crazy: I ventured into the discussion boards and quickly realized that this perception of an actual legitimate class was far from what it really was. I want to make clear that the discussion area is where the students chat, not necessarily the professor, but it is supposed to be moderated, respectful, and follow an honor code . . . none of which was happening. My first comment was about MY experience. 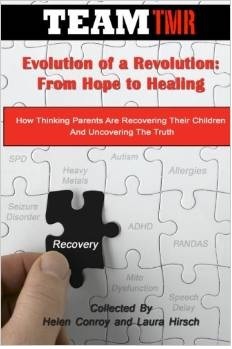 I shared the story of my daughter and how she was diagnosed with encephalopathy following her vaccinations and how years later we ended up with those words of vaccine injury conveniently being changed to autism. I did so respectfully and spoke straight as a parent explaining my concerns of underlying issues and the effect the vaccine had, discussing the word games of encephalopathy and autism, and explaining how autism was little more than a list of these behaviors (not something different than her harm from the vaccines). Immediately I was bombarded by an “anonymous” person who began posting memes from a well-known opposition blog. Not to be discouraged, I attempted again to have a real discussion with a few people that genuinely wanted to look at the information, but it was too late. I was already a target. I realized things I had said in my personal life, not spoken about in the class, were being posted in the forum. And, while I wasn’t thrilled that I was being stalked, I let it be because I wanted to see exactly what these people would do. I spent the next few weeks of the class watching everything I said or did be screenshot and put on the class discussion board — not in an honest fashion, not with the links or stories that went with my words, but in a warped twisted way that served to feed an agenda. And it was amusing to watch. It was like throwing chum into the ocean and watching the sharks circle. And these people bought right into this person’s agenda without a brain cell to question how they were getting this information or why it was only bits and pieces. Not a thought about how ironic it was that Offit claims he was harassed and fearful of his life, yet these people were doing that exact same thing (making Offit’s claims seem backwards). But, most importantly, it showed very clearly how these people are not THINKERS. The fact that they can be swayed by some anonymous person who does nothing more than cut and paste from my Facebook status is a little bizarre. The fact that this class allows this behavior, well, that speaks to the professor, the university, and what we are really battling. I backed off the discussion boards and just finished the lectures and took the tests. I quickly realized that the class that started out as factual was actually a propaganda front. I can’t even say that all of the information was bad. It was just that the way it was presented was full of half-truths. And nothing annoys me more than reading a book with half the pages torn out. That is exactly what Offit gave us: enough correct information so that what he said wasn’t exactly untrue. It just left out half of the important information. And by doing so, he fed people what he wanted them to hear. Week by week, it worsened into a class on how to drill into people that there is no connection between vaccines and autism. Tests were written to perpetuate myths and misinformation. Topics included a bizarre take on religious exemptions, plenty of discussion on high-profile people in our community, and insulting comments disguised as empathy with us poor parents. And while I should be very angry and annoyed at the whole thing (and maybe even worried about my stalker), I appreciate the view into their world. This was exactly what I wanted. I wanted to see how they think, what they say, how they act. I wanted to see what they do with information and how they justify their actions. I wanted to test their claims of integrity and honesty. I wanted to see how they treat parents. I wanted to watch for myself how they act when they don’t have all the information. I wanted to know what they say to themselves and to others. I wanted to know if they really were the enemy or if they were just ignorant. The answers were clear. We have an enemy and that enemy will do and say anything. In the end, it was never about the certificate or the grade. It was a learning experience that further prepared us for the battle. And while my instinct is to tell everyone not to waste their time doing classes like this, the truth is that this is exactly what we need to do. We don’t need to combat the same old nonsense. We have the information. We moved the goal posts. We won’t be dragged into ridiculous debates from ten years ago. There is no debate. We are not going to allow the same old tactics. This never was an anti-vaccine or pro-vaccine issue like they claim. This is a conversation about science, health, and the facts. This isn’t about any one person, group, or any celebrity, and it never has been. And we are making that clear. This is about an army of people who did the unthinkable and changed this conversation to be about what it always was really about: the truth. We are done allowing them to attach “just parents,” as a way to discount our stories. We have NEVER been “just” parents. We don’t walk away from their classes, their groups, their blogs, or anything else. We are here and holding them accountable now. These people can no longer hide among those who are afraid to question. We are beyond hoping that they will just do the right things, we are on to holding them responsible for doing the wrong things. This is a revolution and we are armed and ready. 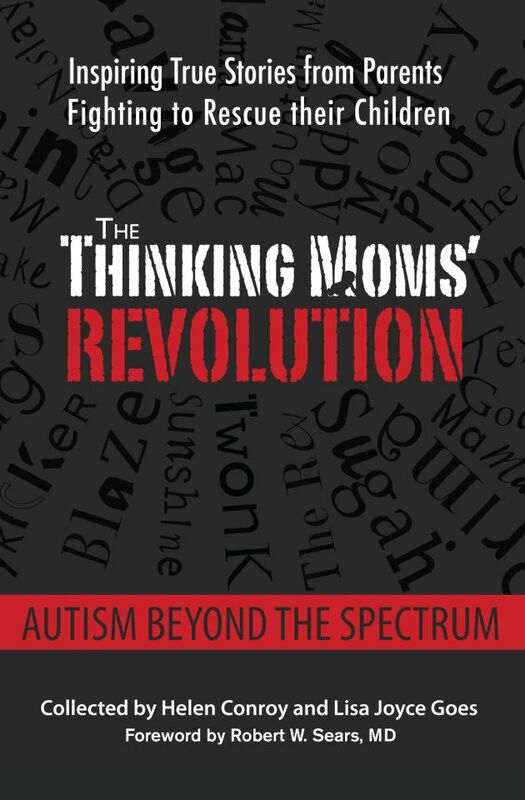 This entry was posted in Blogs by Thinking Moms' Revolution, Featured Guest Blog, Shannon Strayhorn and tagged autism, health, The Thinking Moms Revolution, TMR, vaccines. Bookmark the permalink. If it’s a thinking moms revolution, why does your article focus on feelings and anecdotes instead of critical thought and evidence. I don’t get it. Is it an ironic joke? I think the author did a great job of reporting on the FACTS of her experience in taking the course. She reported on the FACTS of the behavior of the other students. I learned a lot from her sharing the FACTS of her experience. Shannon, absolutely brilliant!! I for one appreciate your fortitude and clarity of thought as you began this course. Thank you. Not a surprise what you endured because those with vested interest are very scared of us. . .very scared. It’s their actions that actually give me hope because we must be making in-road to solicit such vociferous reaction from them. Hi, ahulme! Thanks for coming by. It’s terrific that you feel completely fine and healthy. And chances are good that you were at least somewhat less likely to have an acute disease associated with most of the vaccines you had. BUT the way vaccines work is that they are designed to provoke an immune system response that is quite different from the immune system response when the body encounters an infectious agent in the usual way. Instead of a large acute response, designed to rid the body of the agent, a low-grade chronic infection is created, designed only to keep antibody production going for years to come. That immune system response skews the immune system toward antibody production, so that the immune system becomes less and less capable of mounting an acute response when an actual threat is encountered as more vaccines are administered. In addition, as the immune system becomes more and more focused on antibody production, the likelihood of autoimmune diseases (diseases where the immune system produces antibodies to benign substances normally found in the body) grows. These autoimmune diseases are long-term and often debilitating. There are people who are definitely MUCH more likely to develop autoimmunity than “ordinary” people are, but, as we can see from the huge rise in autoimmune diseases in recent years, there are fewer and fewer “ordinary” people as babies and young children get more and more vaccines. So, yes, personally I think that all vaccines do SOME damage, and the damage is cumulative. But if there are specific threats that scare the heck out of you and you don’t already have any autoimmune conditions (or, in the case of children, if the parents and siblings don’t have autoimmune conditions), then you might consider it worth your while, for peace of mind, to have a minimum number of vaccinations. If you are going to do that, you should probably get titers taken to see if you have produced antibodies in response to the FIRST dose (some people do), as that will enable you to skip further doses. Thanks for the clarity. I want to join your army! Together we can create a tipping point and get some extreme policy changes! Thank you, excellent post, thank you for taking this class and voicing your experience. Surely some of the people taking the class could see how you were mistreated and your evidence willfully ignored. We know there are really bad people out there, many with obvious vested interests. It’s so frustrating that their POV is echoed in so many mainstream stories, e.g. on NPR, NYT, LAT, etc. But eventually, if our govt and pharma interests continue adding more and more vaccines and vaccine mandates, they will be creating a larger and larger number of vaccine skeptics. It seems that usually the only thing that heightens someone’s awareness is seeing an adverse reaction in a loved one or self. The last thing they want is people thinking and that is why all of you here are such a pain in neck for them. Offit often fabricates truth about the actual history of vaccines and will likely do so again to bring back a version of the whole cell DPT – the vaccine which was documented to cause encephalopathy in the National Childhood Encephalopathy Study. And yes, an end result often included the behavioral disorder we call autism. We are opposed by a well financed cult of vaccine true believers with a PR firm that must be making a fortune off them. They will pay and pay and pay until one day they just don’t matter anymore. Christine, you raise the crucial point with “I don’t understand why more parents and citizens in general are not moved by this reality. How bad do the statistics have to get before everyone wakes up?” — the answer is Willful Blindness, discussed here http://www.youtube.com/watch?v=W73SVldfJKo (the segment starts 14 minutes in). I have a vested interest in maintaining herd immunity. There is no financial pay-off for me. I am not brainwashed, but I would dearly love to NOT go back to the bad old days of measles, rubella, polio — all nasty, deadly diseases that were all but eradicated but are now coming back to kill. So that’s why at least this one parent (and educator) is not moved by less-than-credible claims that vaccines cause autism. *sigh* Joanna, you should study up on “herd immunity.” Every vaccine wears off eventually. If you don’t get “boosters,” chances are very good you aren’t “immune.” Boosters for anything but DPT in childhood and DT in adults is a very new phenomenon. That means that there are, and always have been, large numbers of adults walking around essentially “unvaccinated.” Thus there is NO point in history where the majority of folks were “protected” by a vaccine. Herd immunity isn’t what it’s cracked up to be. In addition, “measles, rubella, and polio” are what you’re using as examples of “nasty, deadly diseases that were all but eradicated but are now coming back to kill”? Seriously? NONE of those diseases were EVER eradicated. (Really. Look it up.) And who would even know if rubella came back, because IT IS NOT DEADLY AND NEVER HAS BEEN. It has always been an illness that is so mild that most people who have it don’t even know they have it. Measles was not particularly “deadly” even BEFORE the vaccine was available. Go back to tv shows of the 50s and 60s. People were not afraid of the measles. It appears as a joke in much of the popular culture of the era. Do you seriously think people would be joking about a scary, “deadly” illness? Yes, a small number of people died from the measles (approximately 400/year in this country), but that is a ridiculously small percentage of the population (and measles is acknowledged to be much harder on adults than children). Polio was sometimes deadly in the 40s and 50s (which may have been partly a function of the widely sprayed DDT in that era), but according to the CDC, 95% of all cases of polio are nearly symptomless. Again, how would we know if it was eradicated or not? You think that it is “less than credible” that vaccines cause autism (among so many other things) because you take the mainstream “news” at face value without drilling down deeper into the science, and because you can discount the eyewitness testimony of thousands of parents. I cannot do either. I know that money talks, and there is a hell of a lot of money involved in the production and distribution of vaccines. That money has been SCREAMING lately in order to drown out the voices of people who are telling the truth. Why do you think they feel the need to scream? The more people who feel as you do that it’s not worth REALLY investigating what’s going on, the more people will be harmed by vaccines. And that’s a shame. Someday you will find out that you have been lied to. How will you feel then? Excellent, Diana! It bears repeating. Thank you! Shannon thank you for participating in this class and sharing the information with others about your experiences. 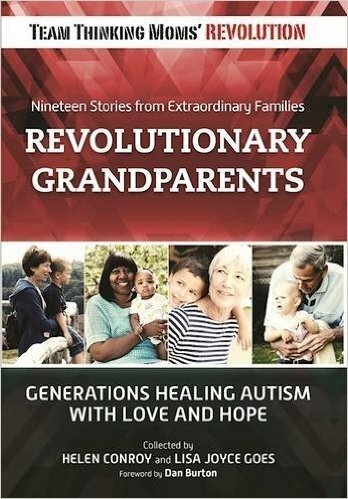 It is very, very important that we of parents with children who have experienced vaccine injury share our story and do so in a way that will educate others and provide them a path to make more informed choices. The bottom line in all of this is the right to do so and also have access to the appropriate medical care to allow our children to remediate their injuries. There really should be no one that would argue against those basic rights. I would also urge you to do so as Shannon has to educate herself on what is transpiring with those who have an opposing mindset, seeing it in real time online discussion groups that is sanctioned by a university, and learn from the experience the importance of providing accurate information about those who are seeking choices. Additionally once you have participated, please provide the university with your honest feedback and if you are harassed, as Shannon was, advise them if it was allowed to happen which is something that is against the university’s code of conduct. In the end this is not about how either side argues their case in my mind, it’s about all of us being able to make informed choices for the health and overall wellness of us all. Anyone that opposed that thought process does need to be questioned in my opinion as to why, especially if there is a conflict of interest due to someone worrying about their profit margins. Thank you for this post. I have listened to the cries of parents who have children harmed be vaccines and I don’t understand why more parents and citizens in general are not moved by this reality. How bad do the statistics have to get before everyone wakes up? This is a great post. When my son was born I went to a peds practice that was part of CHOP. I can’t begin to tell you how horrible my experience with CHOP was. I encountered such uncaring people. When I questioned the way a hearing test was being conducted I was dismissed. The doctors commented on how healthy my child was and appeared surprised by his healthy. They would not discuss vaccines concerns. Then I learned about Outfitt. That was it for me, I left. LOL. I just can’t imagine that any vaccine information given by the supposed Dr. Offit – true doctors are healers, not pushers of neurotoxic injection and immune-suppressing pharmaceuticals – would be accurate.